I've been getting a lot of requests to do guest posts. What I find interesting about this isn't so much that people want to share their self-publishing experience with me, or with the world. The thing that tickles me is more and more authors are selling a lot of ebooks. Before we get to today's guest post, I'd like to share an interesting tidbit of info, courtesy of BookBee.net. Apparently, Ken Follet's publisher raised the price of his ebook from $7.99 to $9.99... and sales dropped 48%. Jason Davis, who runs BookBee, took that as evidence the Agency Model doesn't work. I happen to agree with him. In fact, I spoke out against the agency model a year ago. Much as publishers thought they'd scored a victory by controlling their own prices, I predicted it was an epic fail. Publishers were, and still are, trying to slow the growth of ebooks in order to protect their business model, which is built around selling paper. How has that been working out for them? Not very well. Ebook sales have climbed at an astonishing rate, print sales have fallen, and the agency model earns less money for both the publisher and the author. Jason's post also links to another of his posts, where he discusses the optimal price point for ebooks ($2.99-$3.99) based on the research of Dave Slusher, who used something called "math" to analyze prices based on some of my sales. I encourage all readers of this blog to check them out. Strangely enough, though the agency model is costing publishers money, those who self-publish using the agency model are doing very well. That's because authors are using it to find the sweet spot to maximize profits, whereas publishers are apparently using it to hasten themselves out of business. While modest pricing is no guarantee of sales, it's worth noting that more and more self-pubbed authors are hitting the Kindle bestseller lists. 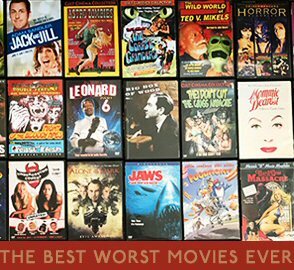 Take a look at horror sales at Amazon. There are several things interesting about this list. Most interesting is 12 of the top 20 bestselling books in the horror category are self-published. And I say "books" because this list includes print books as well as ebooks. I currently have three of the Top 20 bestselling horror titles on all of Amazon. Early in the month, I sent Joe a frantic e-mail. You are the only person I know who can give me a serious answer to my question. I'm "freaking out" a little bit here - but in a good way. My books have consistently sold 350 a day since the beginning of the month. Every day - no change. I was just checking Amazon and my books are in the top 20 of about 10 different genre lists - Ghosts, Paranormal Mystery, Paranormal Romance, Women Sleuths, Romantic Suspense - they are all over the place. My Amazon ranks are at #301 and #345. I am in shock. Does this continue? When I look at these numbers and estimate forward - I'm making amazing money. My reviews, for the most part, are great. I'm even picking up good reviews in the UK. My question - is my bubble going to burst or is this really happening? And can it continue? My husband, sitting across the room from me in my office, was concerned as he watched my face when I read Joe’s response. My eyes filled with tears and I placed my hand over my mouth. The bubble isn't close to bursting, Terri. I’m sitting here at my desk a week later writing this blog to tell you my story. Since the e-mail, I have consistently sold more than 300 books a day. My average book sales are 330 a day. Two of my books, Loose Ends and Good Tidings from The Mary O’Reilly Series, are the majority of the sales. But, even my “Ghosts of New Orleans” is selling more than 30 books a day, so I have absolutely no reason to complain. I sell my books for $2.99. About seven percent are Amazon International sales - so I get 35% of the sale price, the remainder of the sales is at 70% - you do the math. I don’t think you need my whole bio to understand how I got here, but I’d like to offer some relevant points. I did well in high school and received scholarships to go to college. After two years in college, I was married and expecting my first child. College was put on hold. Seven children later, I was working as a consultant doing advertising, marketing and public relations for small to medium-sized businesses in the area. I even had some Fortune 50 companies as clients. I still hadn’t found the time to go back to school, but as a consultant, my clients were more interested in what I could do for them, than the degree hanging on the wall - thank goodness! In the background, in my spare time, I was writing novels. It was my dream - “Someday I’m going to be a writer.” But, at that point, it was in the same category as “Someday I’m going to be the same size I was when I got married” nice to dream about - but then you wake up! However, some of the stories had to be told, so, I continued to write. A little every day. While I was writing, I was trying to find my voice and decide what I wanted to write. But, again, since my consulting was paying the bills, writing was more of an escape. Then the economy crashed and because of the uncertainty of so many things, my clients started tightening their belts and holding on to their money. Marketing budgets were slashed. My business was in trouble. I started looking for a full-time job, but even with fifteen years of experience, I didn’t have a degree. And in this job market, employers have lots of options. Suddenly, the thought of writing for a living made sense, because, really, what did I have to lose? I had been working on Loose Ends for months. I found myself with more time than money, so I worked nearly full-time to complete it. During that time, a friend sent me the Wall Street Journal article about Karen McQuestion and her amazing success in e-books. I had heard of Kindles, but I had no idea they held such a market share. I sent an e-mail to Karen, who was gracious enough to answer me. She shared her experiences. Then I did some research on my own and decided that I was going to try downloading my book through Amazon. Before I learned about Karen, I had planned to send my book off to an agent I had an acquaintance with in New York. She’s a very successful agent and, at one time, had told me she liked my writing. But the biggest thing that sold me on e-publishing was the finances. I could get paid within 90 days of downloaded my book. I could make the same amount of money on my e-book that I would through a traditional publisher. And, perhaps, as an entrepreneur this excited me even more; my destiny was in my own hands. In August I sold 142 copies of my book. In September I sold 248 books. In October I added another book, “The Ghosts of New Orleans.” I had read that multiple books help you cross market and lead to more sales. The Ghosts of New Orleans was a novel I had written four years ago. It was a darker novel than The Mary O’Reilly stories, but I felt it still had merit. I did a quick edit and uploaded it on October 10th. In October I sold 789 copies of Loose Ends and 195 copies of The Ghosts of New Orleans. At the end of November, I added the second Mary O’Reilly book, “Good Tidings.” It was available on the night before Thanksgiving. By the end of the month, one week later, I had sold 142 copies of Good Tidings, 745 copies of Loose Ends, and 320 copies of The Ghosts of New Orleans. In December I watched my numbers climb and three weeks into the month, found that both Loose Ends and Good Tidings had sold over 1,000 copies. I reached those numbers the day after Joe invited us to be part of his Best Seller blog. I couldn’t believe I was part of that crowd of authors. By the end of December, I had sold over 5,000 books. Now, the secret to my success is...there is no secret. I’ve heard rumblings that Paranormal Mysteries or Paranormal Romances are easy to sell. I didn’t write my book because of market trends. I wrote it because that was the story I had to tell. And, thinking back to Joe’s list - they certainly weren’t all Paranormal genre books, although there were a few. You need to get out there and talk about your book. You are your own marketing and public relations team - if you don’t think your book’s the greatest thing since sliced bread, why should I? Joe sez: A few things strike me about Reid's post, and her publishing journey. As far as I can tell, she doesn't have a website or a blog. She only has 233 Facebook friends. She doesn't have a Twitter account. And though she's active on Kindleboards.com and her local paper did a story on her, it really doesn't seem like she's done an overwhelming amount in the way of self-promotion, especially compared to other recent guest posters. Her covers are decent, and the black and white stands out, but in my opinion they could be improved. She's clearly new at this, as indicated by her apparent belief that simply uploading a few ebooks would give her the income of a fulltime job. In fact, she didn't even try to get an agent or a publishing deal, but thought that her first book would be good enough to sell on its own. And guess what? She's selling like crazy. In fact, with no track record, no real marketing strategy, and what I view as somewhat unrealistic expectations, Reid's ebooks are outselling many of mine, and she's going to make $20,000 this month. So what can we attribute this to? A low price? Good writing? Luck? All of the above? That's why I love Reid's story so much. She's new at this (both writing and self-publishing) and perhaps a bit naive (like we all were when we started out) but she's making huge money and selling like crazy. It might seem like I'm knocking her, but I'm really not. The fact is, I'm in awe of her success. 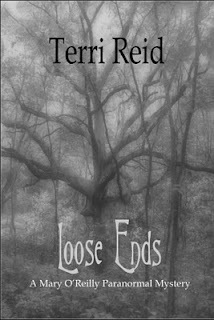 If anyone is proof that the old ways of publishing are dead, it's Terri Reid. She's spearheading a new movement, one that completely ignores the conventions of traditional publishing. Now, does this mean everyone can sell 10,000 copies a month? Of course not. If everyone could do it, everyone would be doing it. Reid has obviously found her niche, and self-publishing was a smart and (in hindsight) an obvious choice. Though she didn't mention much about her marketing strategy, she had a job in marketing, so she clearly has done something right. Though she didn't mention much about her writing background, her reviews and sales again point to her doing something right. The future isn't Big 6 publishing houses vetting manuscripts, rejecting the majority, taking 18 months to publish, and then insisting upon ebooks with high prices and DRM, all the while paying authors one third of what the house makes. The future is smart, talented writers doing it on their own.